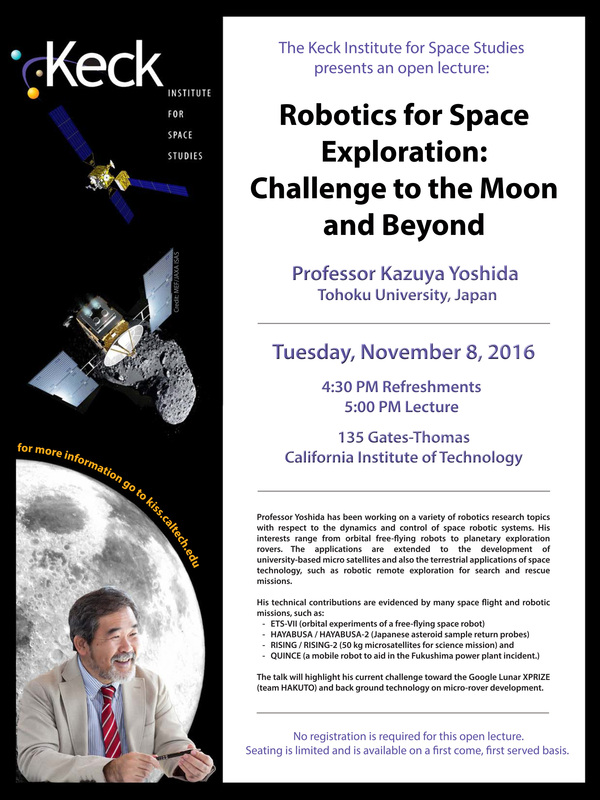 Professor Yoshida has been working on a variety of robotics research topics with respect to the dynamics and control of space robotic systems. His interests range from orbital free-flying robots to planetary exploration rovers. The applications are extended to the development of university-based micro satellites and also the terrestrial applications of space technology, such as robotic remote exploration for search and rescue missions. 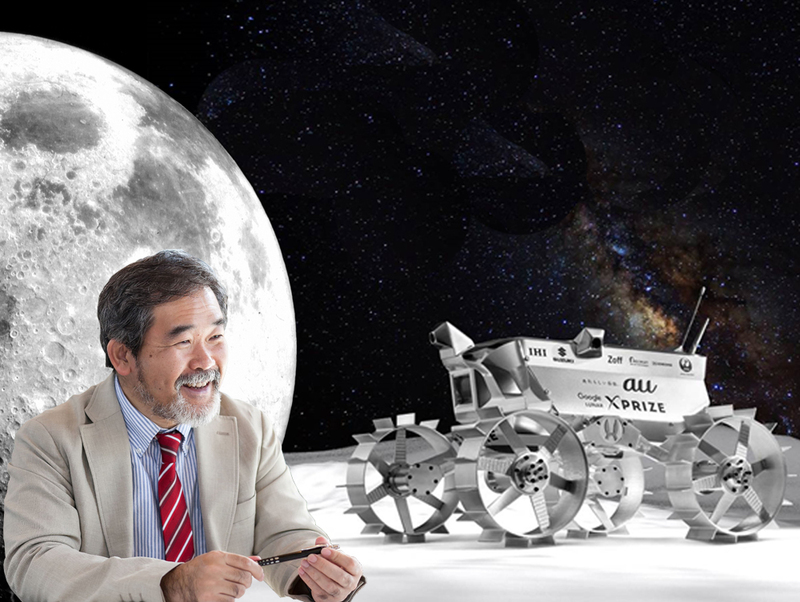 The talk will highlight his current challenge toward the Google Lunar XPRIZE (team HAKUTO) and back ground technology on micro-rover development. Professor Kazuya Yoshida received B. E., M. S. and Dr. Eng, degrees in Mechanical Engineering Science from Tokyo Institute of Technology, Japan, in 1984, 1986, and 1990, respectively. He served as a Research Associate of Tokyo Institute of Technology from 1986 to 1994, and was a Visiting Scientist of MIT in 1994. From 1995 to 2003 he was appointed as Associate Professor, and since 2003 he is Full Professor in Department of Aerospace Engineering, Tohoku University, Japan. In 2011 he was named the Director of Center of Robotics for Extreme and Uncertain Environments in Tohoku University. In addition, he has been contributing to space robotics education for international students at International Space University in Strasbourg, France (for Master of Space Studies) and various locations in the world (for Summer Study Programs). He has been a member of IEEE since 1990, and a committee co-chair of the Robotics and Automation Society (RAS) Technical Committee (TC) on Space Robotics, since 2007. The .pdf version of Professor Kazuya Yoshida's presentation can be viewed here. Please note that the file contains embedded video clips that might now show in the browser. In order to view the videos, download the .pdf presentation to your local machine and use Adobe Acrobat Reader to view the file.